SSS's NEW (paved) SALES LOT!! 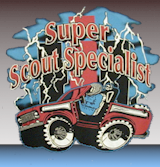 Selling your IH Scout or Truck ? We are looking for IH Vehicle consignments! To See our I.H. Vehicles for Sale Click Here !! Please call for more details on each vehicle. "*" indicates Vehicle is here on consignment for a customer.